The stock market can be really volatile at times and people who partake in this market should be prepared for big moves. When trading stocks, traders generally need to use less leverage than with forex trading. The risk for high volatility and overnight price gaps make it riskier to use high leverage than in some other markets. Nevertheless, stock trading has great potential to bring in handsome profits if managed effectively. When compared to the forex market, the stock market has much more industry diversity and different instruments to choose from. On the New York Stock Exchange alone, there are thousands of stocks to choose from. If you combine all the major stock exchanges from around the world, the number of tradable stocks is immense. Let’s see which stock CFDs you can trade with IQ Option, and how to trade it on IQ’s outstanding trading platform. More than 170 stocks to choose from! How do Stock CFDs Work? Stocks (or shares) of listed companies can be speculated with. Online brokers may offer contracts for difference (CFDs) with different companies’ stocks as the underlying assets for these CFDs. When a stock CFD is bought, the buyer does not actually own the stock itself but merely speculates on the price movement of that stock by means of the CFD. With stock CFDs (contracts for difference), traders and investors can go long (buy) or go short (sell). With a long position, a rise in price will produce a profit. On the other hand, a short position makes money when the price of a stock moves lower. The price of a stock is influenced by supply and demand. The forces that influence supply and demand are manifold - fundamental factors (e.g. earnings per share), investor sentiment, technical factors, news about the particular company or its industry sector, etc. 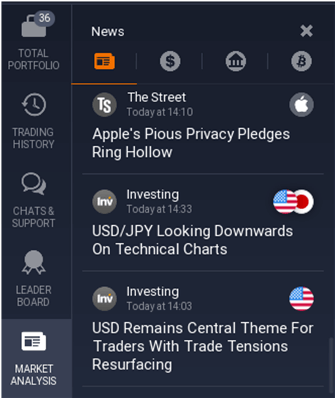 IQ Option’s multi-asset trading platform can be accessed not only via desktop and web apps but also through iOS and Android mobile applications. For people who are often away from home or out of the office, the mobile and web apps can be pretty handy. IQ Option has a formidable range of 174 stock CFDs to choose from. These are a combination of European and U.S. stocks. *Please note that the number of available stock CFDs can change at any time. 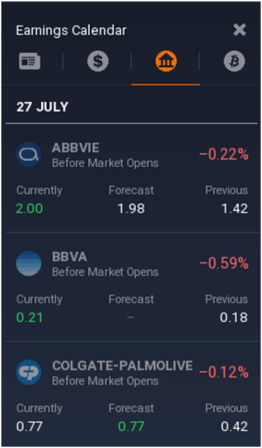 SOME OF THE STOCKS YOU CAN TRADE WITH IQ OPTION. Traders from outside the European Union and pro-EU traders can trade IQ Option’s stock CFDs with leverage of up to 1:20. Retail traders from the European Union (EU) are limited by ESMA (the European Securities and Markets Authority) regulation to a maximum leverage of 1:5. 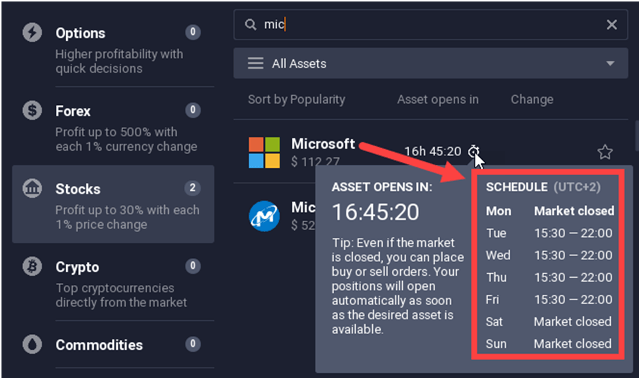 Unlike the forex market which can basically be traded 24 hours a day, 5 days a week, the global stock markets are only open for about 6.5 to 8.5 hours a day, 5 days a week, depending on the exchange. The times at which different countries’ stocks can be traded also differ according to the timezone of each country. For example, European stocks can be traded while the U.S. stock exchanges are still closed, but the U.S. stock exchanges close much later than the European exchanges. 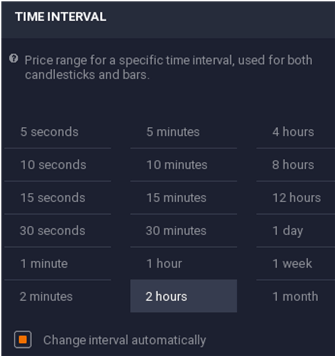 The availability of the stocks offered by IQ Option depends on the trading hours of the stock exchanges that supply the liquidity for those stocks. For example, the Volkswagen company has a primary listing on the Frankfurt Stock Exchange which is open for trading between 09:00 to 17:30 GMT+2. However, IQ Option’s Volkswagen CFD can be traded between 09:03 and 17:30 GMT+2. Some European stock CFDs open at 09:00 for trading while others open at 09:03. All the U.S. stocks offered by IQ Option are tradable from 15:30 to 22:00 GMT+2. U.S. STOCKS ARE TRADABLE BETWEEN 15:30 AND 22:00 GMT+2. The minimum deal size on IQ Option’s stock CFDs is $20. This is the same for all clients from around the world, and for any leverage setting. 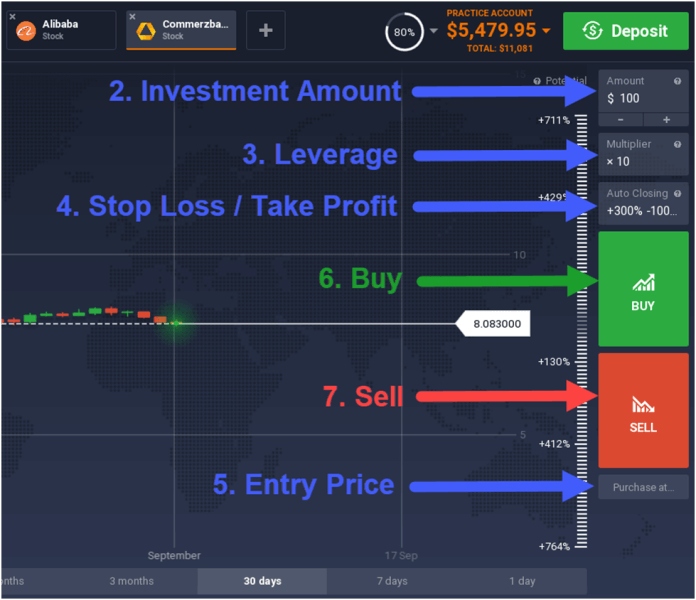 With only $10, you can open a real money account with IQ Option! 2. Choose the amount you would like to invest. 3. Choose the amount of leverage you require. 4. 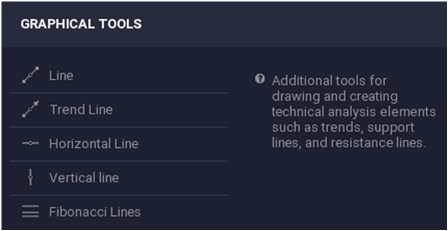 Pre-set your stop loss and take profit orders with the “Auto Closing” function (these can also be set after the position has been opened). 5. For pending orders, enter the price at which you would like to enter the market. 6. For a long (buy) position click “Buy”. 7. For a short (sell) position click “Sell”. 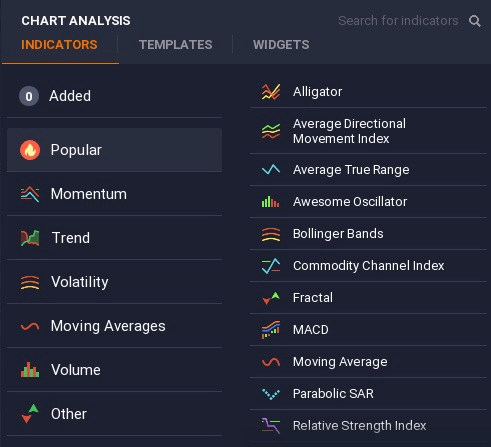 Different chart types, including Heikin-Ashi, candlestick charts, line charts, and bar charts. 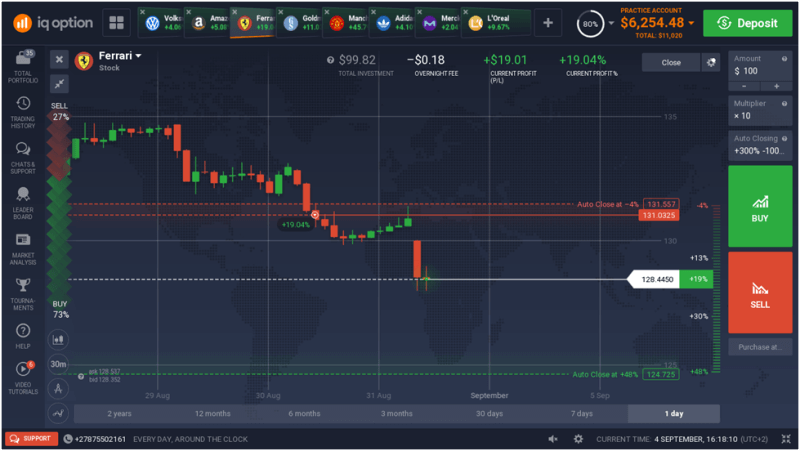 Access to a good demo account is a great advantage, not only for beginners but also for seasoned traders who perhaps need to test out a new trading strategy. IQ Option’s demo account has all the features and trading instruments of a real money trading account. This demo account doesn’t expire and traders can switch between their demo and live accounts with ease. An appealing feature of IQ Option’s demo account is that traders can top up this account to its original value at any time. IQ Option’s platform has many features that make stock trading convenient for its clients. Trade execution is fast, and it is easy to make adjustments to a position’s (or pending order’s) parameters before or after it has been placed. 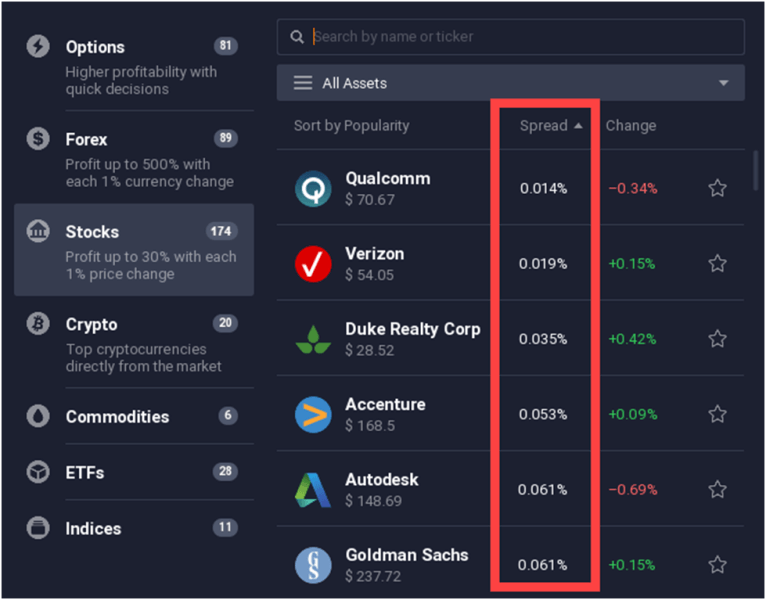 The number of stock CFDs available on IQ Option’s trading platform is really good, which is likely to expose clients to more trading opportunities and better portfolio diversification. 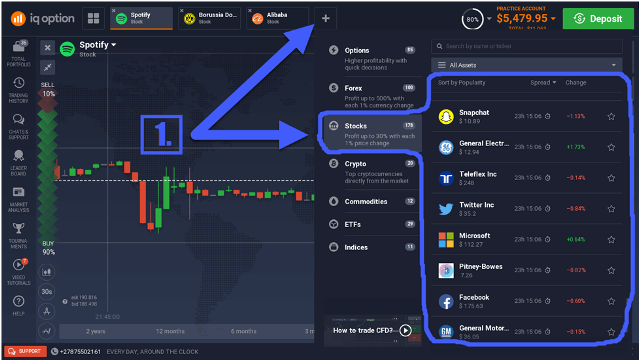 Furthermore, IQ Option’s clients have free access to the video tutorials on the platform and are able to chat with other traders via the “Chats and Support” tab. Customer support is also available 24 hours a day, 7 days a week via live chat or telephone assistance. Risk Warning: Trading may not be suitable for everyone, so please ensure that you fully understand the risks involved. Especially trading leveraged products such as Options, Cryptocurrencies, Forex and CFDs carry a high degree of risk to your capital and can result in the loss of your entire capital. Between 74-89% of retail investor accounts lose money when trading CFDs. Only invest with money you can afford to lose. Copyright © 2019. IQ Option Magazine.